In May, Rio Salado College launched the PLan for Undergraduate Success (PLUS), a U.S. Department of Education First in the World grant-funded project designed to help students succeed! The following video and report contributed by Rio Salado's PLUS team provide an overview of project goals, challenges, achievements and lessons learned. Rio Salado College is undertaking a two-phase research project called PLan for Undergraduate Success (PLUS) to improve teaching and learning in an online environment. This project is funded by a First in the World (FITW) grant by the Department of Education. The goal is to create a model that includes three treatments: a focused grouping of courses (F13), a student success seminar, and strategic interventions provided by a success coach (PLUS Facilitator). In the first (current phase), these three treatments are delivered in the standard online course platform. In the second phase, the three treatments will be delivered in an adaptive platform in order to improve teaching and learning for students. A major challenge is that lower performance in online classes and a lack of structured and coordinated student support lead to low persistence and completion, both at Rio Salado College and nationwide. Across the nation, tighter budgets have tasked administrators to look for effective cost-saving measures while not compromising on high quality, accessible education. 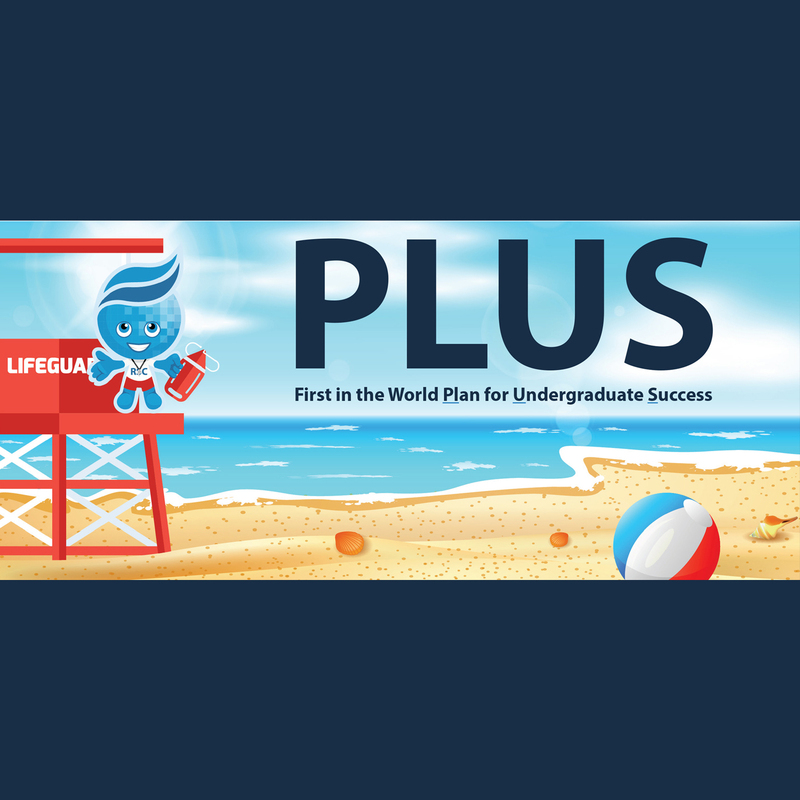 The PLUS Project was conceived by Rio Salado College as part of an effort to find innovative solutions that provide high-quality, affordable education to a diverse demographic of students with a wide-ranging set of needs. Rio Salado College has taken several critical steps in the project. To date, there are approximately 2000 students in the program, of which approximately 800 students have received or are receiving interventions. Three student success facilitators (PLUS Facilitators) are in place, and they have initiated thousands of student communications. The Student Success Seminar has been offered since May 2016 and covers topics such as Academic Success, Growth Mindset and Personal Development. The seminar is taught by the PLUS Facilitators, who leverage technology such as texting and the learning management system to provide relevant, personalized communication to every student. PLUS Facilitators plan, develop and present webinars with topics geared toward student success. Additionally, Rio Salado has identified the adaptive platform which integrates with the learning management system. PLUS Instructional Designers receive formal training in the platform. They are working with subject matter experts on course design and content development. The impacts of the project are becoming apparent as the project continues. PLUS Facilitators add value by creating dynamic relationships with students, mitigating frustration students report feeling by acting as the single point of contact that provides guidance on a wide variety of challenges a student may face. The PLUS Seminar provides information and guidance on using college systems, as well as addressing critical topics for student success. The recommended courses impact students by virtue of their high historical success rates and provide a doorway to many degree paths. 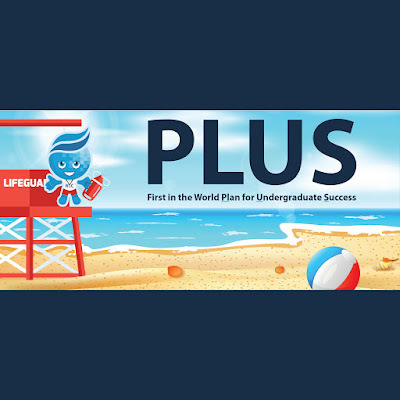 Rio Salado has partnered with external evaluator Education Northwest to provide guidance and objective feedback related to the efficacy of the PLUS Project. The Rio PLUS team also monitors key activities and expect to have preliminary results at the end of Phase I next summer. The Rio PLUS team has learned that unexpected challenges, especially of a technical nature, can arise at any time. Good planning and a culture of systemic communication is important to minimize delay and any potential negative impact on student success. It is also important to remain flexible to account for system/institutional considerations. For example, the team needed to change the point at which students entered the PLUS Program. Overall, the Rio PLUS team is very excited about our progress to date and we look forward to increased student success in the coming year! Learn more about Rio Salado's PLUS team and First in the World grant in RioNews. The FITW grant program was created to drive innovation and keep a higher education within reach for all Americans. Of the Rio Salado College grant award, nearly 100% of the $2.6M project is funded by the U.S. Department of Education - Fund for the Improvement of Postsecondary Education.